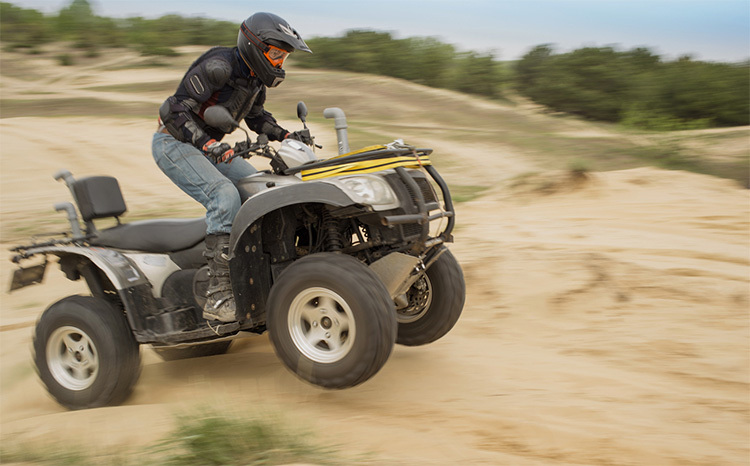 Across Indiana, you’ll find retailers offering the latest and greatest in ATVs, UTVs, and more! Whether you’re looking for the newest offering from Polaris or a dirt bike to get flying through the trails, there’s something in Indiana for you. Get started on your adventure with these seven best motorsport retailers in Indiana. 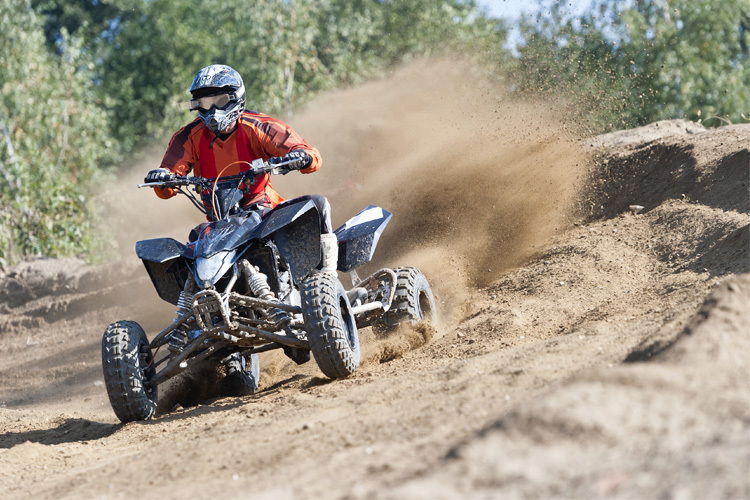 Part of the Badlands Off Road Park in Attica, Indiana, is Adventure Rentals, the top ATV and UTV rental destination in Indiana. 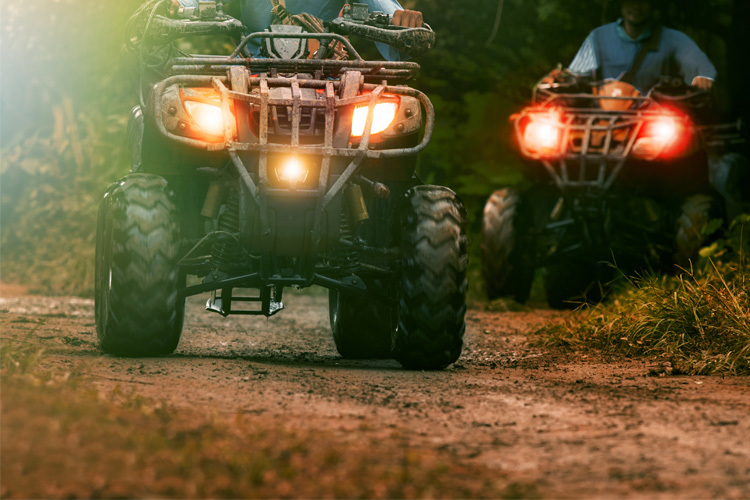 In addition to renting out ATV and UTVs, Adventure Rentals also offers self-guided onRoad Tours, which take you on two different tours: The Nature Tour, navigating through Fall Creek Gorge and Portland Arch Nature Preserve. You can also stop at the ruins of Mudlavia Hotel, rumored to be haunted. Visitors can also rent an ATV or UTV and take the Covered Bridge Tour, which takes you through the seven covered bridges in Indiana. There are six different vehicles available to rent, so what are you waiting for? 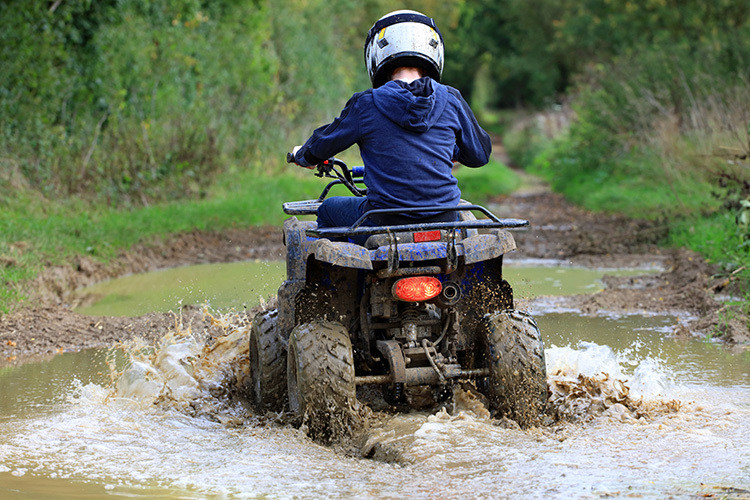 Book your ATV or UTV today and start your adventure! 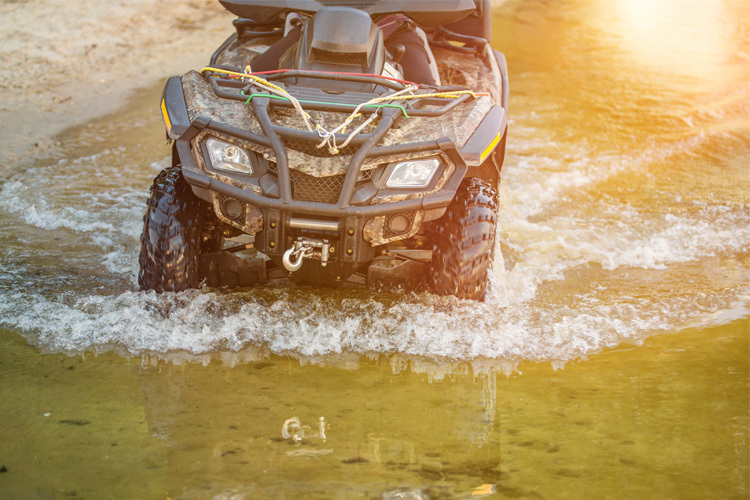 Head on over to Tom Wood Powersports in Anderson, Indiana, for a new or used ATV, UTV, or other off-road vehicles. Tom Wood has been in business for over 50 years, and is the place for all your powersport needs. They also have a great service and parts department. Take a look at the new Honda TRX 90X in cherry red or a new Kawasaki KLR 650. Tom Wood Powersports has it all! At Bloomington Powersports in southern Indiana, there are six principles to accomplish their objective, which is helping customers fuel their passion: have fun, over deliver, be transparent, take responsibility, build relationships, and relish the inconveniences. Offering new and pre-owned vehicles, Bloomington Powersports has a great selection of off-road vehicles for sale, such as a 2017 Kawasaki Brute Force 300. Bloomington Powersports also has a great parts and accessories section as well, in addition to a fantastic service department. Newburgh Powersports in Newburgh, Indiana, is Indiana’s top Honda and Polaris dealer. Locally owned and operated, the staff here have a combined 70 years of experience in the powersports business. Each customer is treated as an individual, and the staff works hard to ensure that each customer is properly fitted to their equipment. They also have a service department on site, and each service technician has the highest certification possible. 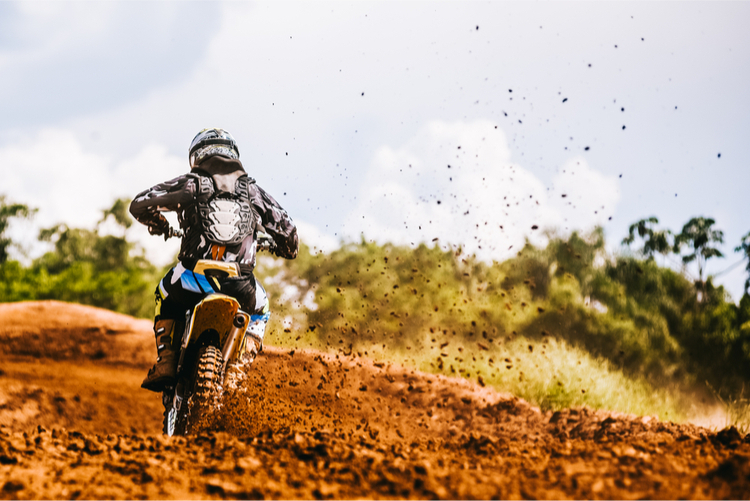 Whether you are looking for a new motorcycle, ATV, or other off-roading vehicle, Dreyer Motorsports in Indianapolis is the place to go. Not only do they sell off-road vehicles, they also have a great selection of parts to choose from as well. Dreyer’s has been in business since 1958, making it the oldest Honda dealer in the U.S. Whatever you prefer, there is something for everyone at every level here at Dreyer’s. Another great spot in Indiana to buy off-road vehicles is Frazier Motorsports in Mishawaka, Indiana. Inventory includes a selection of dirt bikes, Kawasaki ATVs, and a variety of UTVs. Owners Tim and Lisa do their best to assist each customer with choosing a vehicle to fit their needs and style, and pride themselves in offering the best customer service possible. Westfield Powersports is ready to send you on your way in style. Find excellent brands like Yamaha, Honda, Kawasaki, and Polaris. Choose from a selection of dirt bikes, ATVs, UTVs, and more. You’ll have so much to choose from, it’ll be tough to make a decision. Nearly every color, style, and size of 2018 @flyracingusa gear now in stock.